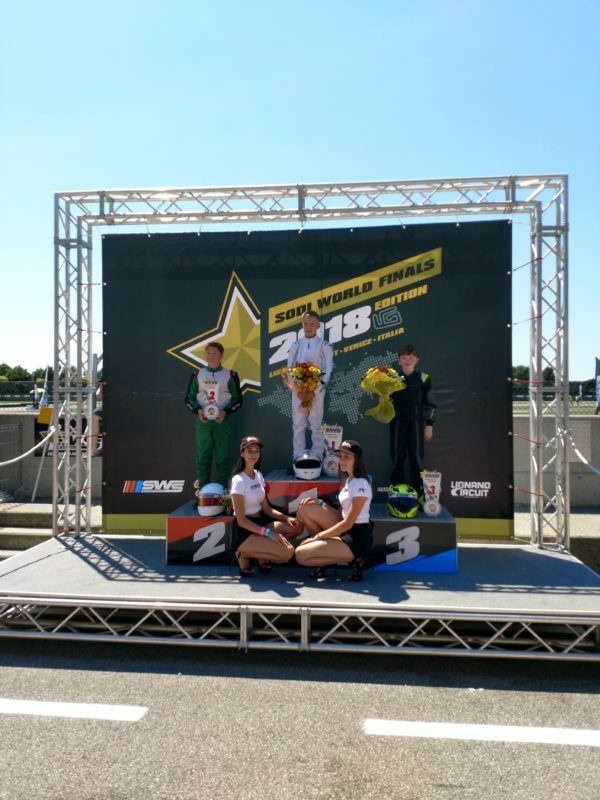 Justin Adakonis took third in the Junior Class at the Sodi World Finals just outside Venice, Italy this weekend. Justin battled two Russian drivers for the win. The competitiion was tough with 41 countries represented. A rough run in the third qualifier put Justin in 8th to start but he drove well getting up to 3rd and then had a back and forth battle for the final spot on the podium. The Russians were uncatchable as they drafted each other the entire race…a technique they learned and practiced by watching NASCAR. Justin’s participation and podium marks the first time an American has participated in the junior class. Congratulations to Justin and his support team.